In order to celebrate history, tradition will be changed. Normally, the NFL starts off the season by featuring the defending Super Bowl champ against another team primed to make a run at the title. But with the league preparing to celebrate its 100th anniversary, it looks like it'll be honoring two of the most storied franchises instead. 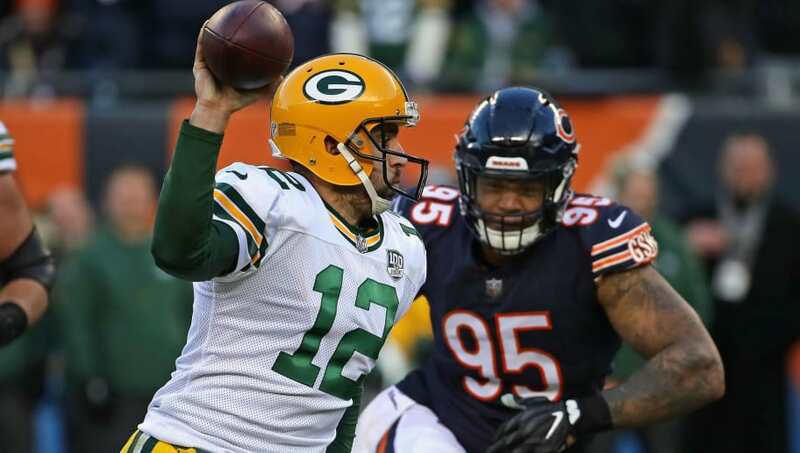 The NFL is close to naming the Green Bay Packers and the Chicago Bears as the matchup to begin the 2019 season on Thursday night. You can't pick two teams with a richer history. The NFL hasn't announced where it'll place the defending champs, whoever that may be, but you have to assume that team will be in some sort of primetime game that weekend. Neither of these teams may have won the Super Bowl recently, but this is definitely a game you won't want to miss. The Packers and the Bears have given us some incredible memories throughout the years including arguably the moment of the year after Aaron Rodgers' masterpiece of a performance. It is possible, maybe even more likely than not, that neither the #Patriots nor #Rams will be featured in first game of 2019 season. With #NFL celebrating its 100th anniversary, the possibility of a #Packers vs #Bears opener is a consideration. The league has yet to make it official, but it looks like an NFC North matchup will be the game to begin the 2019 campaign.